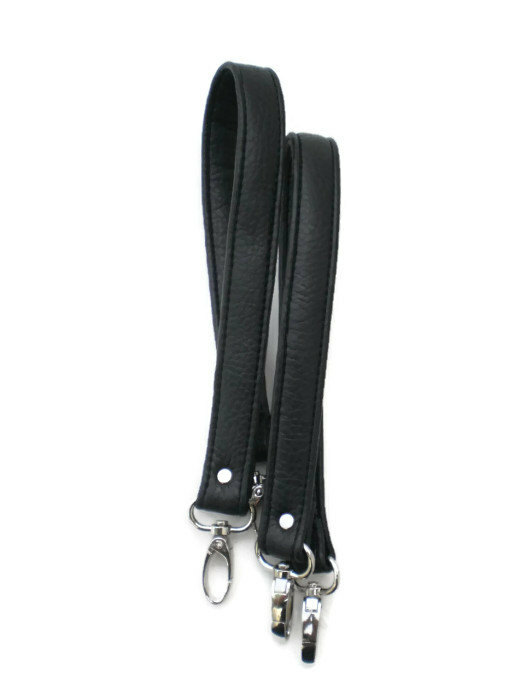 As a specialized leather sewing contractor, we can handle specific tasks within your project from leather cutting and grading to leather fusing and sewing, here in Downtown Los Angeles. Our experienced team of artisans produces the highest quality work with state of the art machinery and hand finishing at every step of the process. 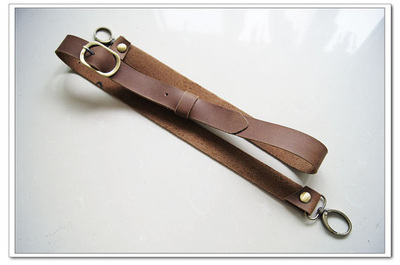 Our team carries an average of 25+ years of experience in leathercraft and leatherwork. 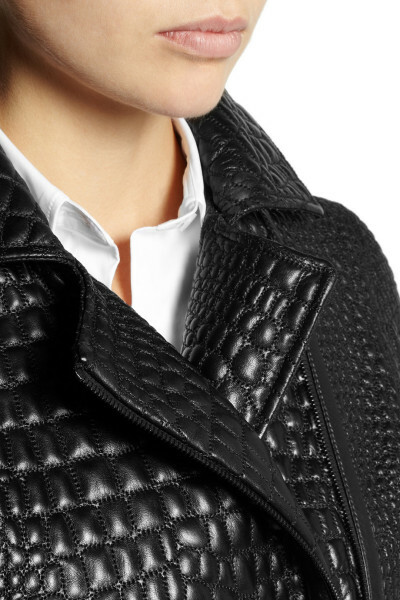 From Key hole, button hole and overlock to bottom sew, no project holds any mystery for our experts. 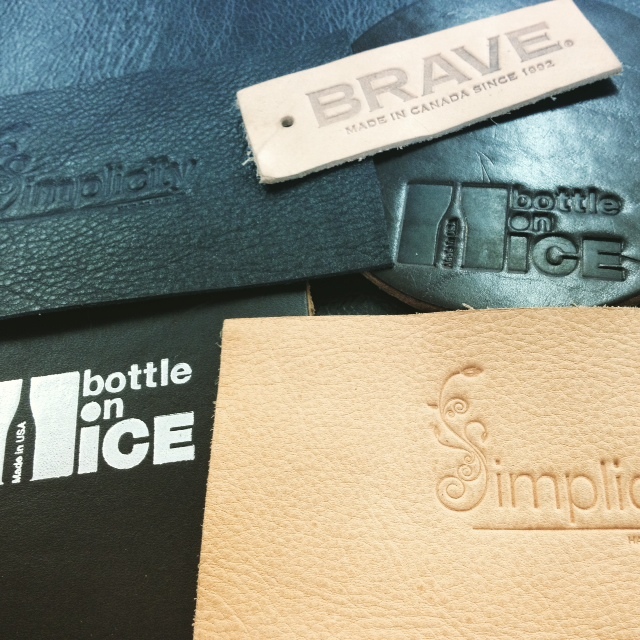 We offer the following solutions for logo, motif or design applications on leather: die making, die cutting, logo engraving, foil stamping, embossing, debossing, counters. 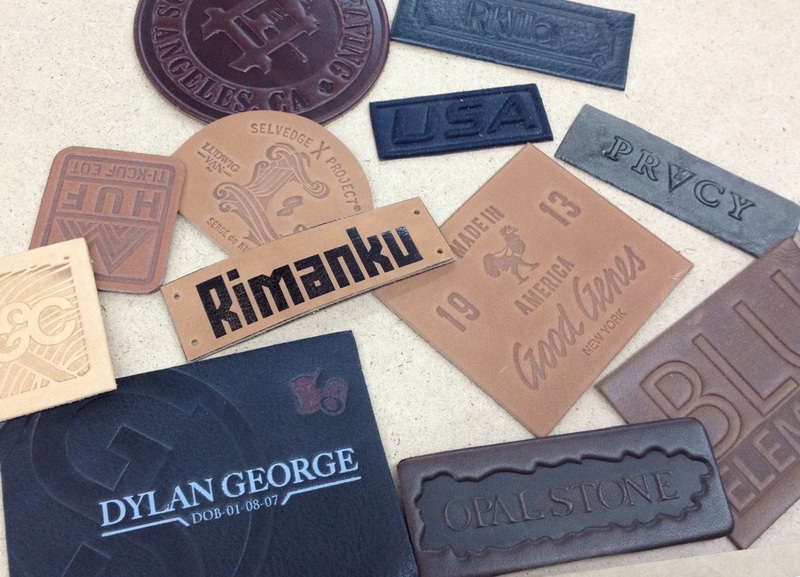 We will emboss your logo, brand or name and create hang tags in the leather of your choice from our extensive leather supply. Hang Tags are an effective way to embellish your brand whether it comprises handbags, garments or souvenir gifts. - Designers for logo embossing engraving on leather garments, leather hang tags. - Private for family album engraving. 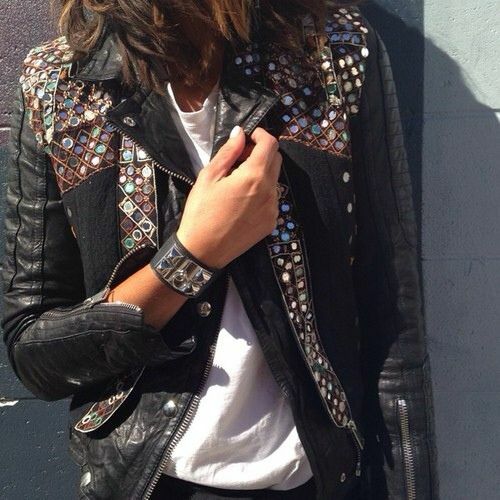 Variety of embellishing options for leather garments (jacket, pants, skirts, tops and many more). handbags, purses, backpacks, wallets, etc. Our experienced team of artisan leather workers will bring your embellishment project to life. 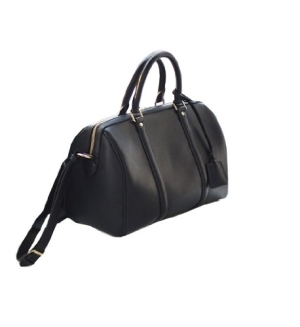 Whether it is for a manufacturing full production, a designer sample or a unique leather piece for a Hollywood type celebrity: we have the know-how and tools to produce the highest quality finished product, right here in downtown Los Angeles. In depth services include heat transfer designs, swarovski, preciosa, MC premium, rhinestones, metal, epoxy, beads, nailheads, eyelets, snaps, rivets, metalware. We assist designers and contractors with Design. 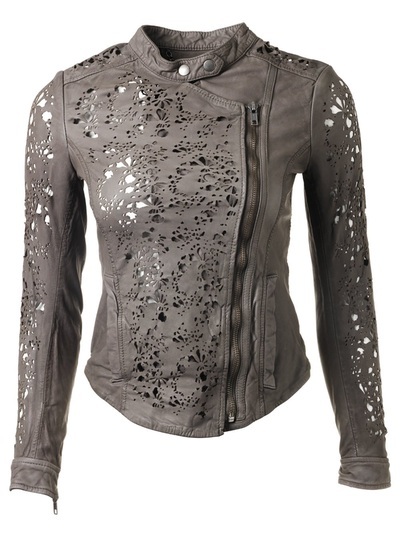 Leather Embroidery and laser cut applications for leather garments, fashion accessories, signs and more. 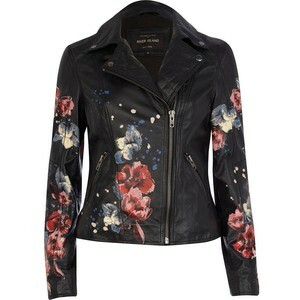 We can handle a wide variety of leather garments: pants, jackets, tops, hats, etc. 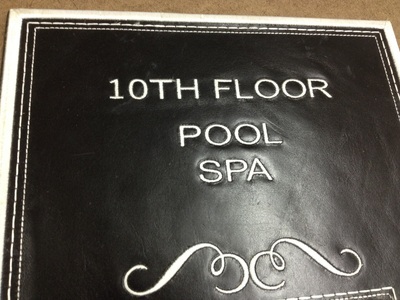 Additionally, we offer services for embroidered or laser cut leather signs for hotels, restaurants, businesses or home. 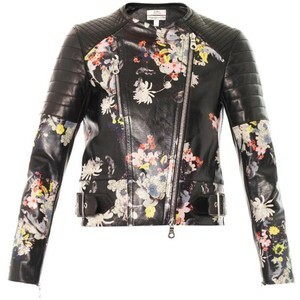 Embroidering or laser cutting leather is more complex than embroidering fabrics such as cotton, nylon, etc. 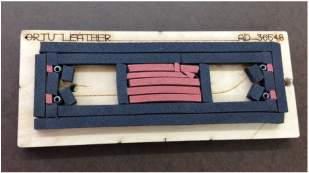 It takes a special process, an expert hand and understanding to apply the correct needle process to various leather thickness and finishes. Everything is made right here in Los Angeles. Quick turnaround, flexible quantities. 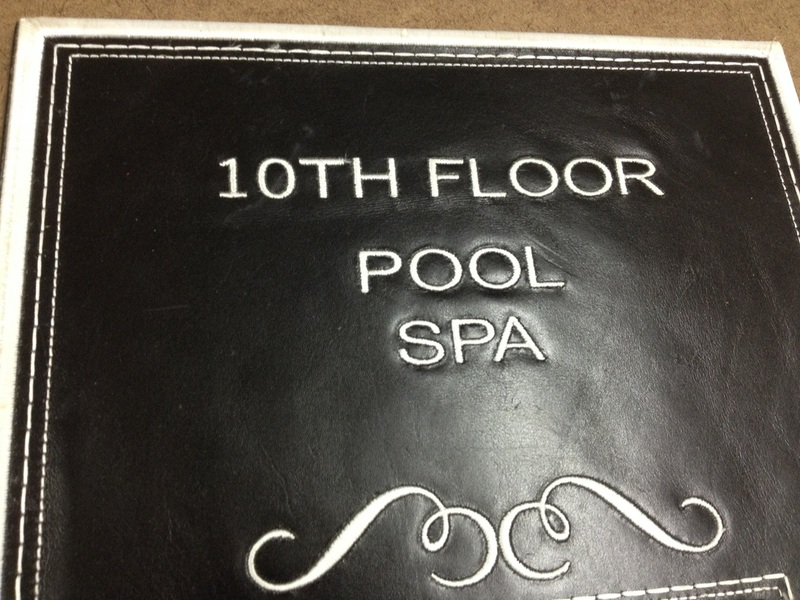 We offer various printing solutions and applications on a variety of leather hides. From screen printing, heat transfer, heat pressing panels to color match. 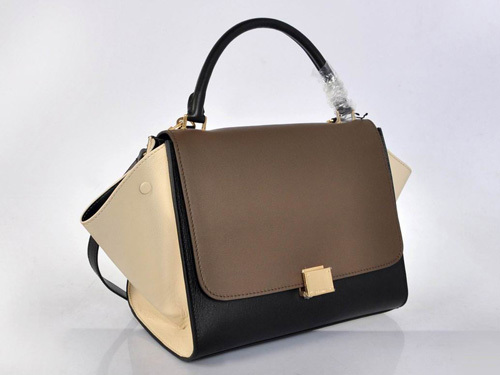 The printing allows for unique designs on finished leather goods and enhances the designer's portfolio of creations. 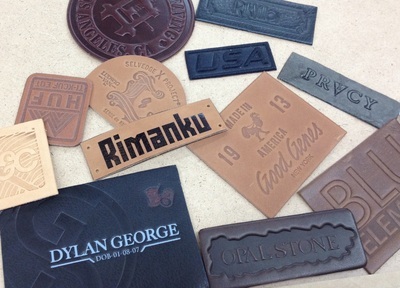 We have the capacity to prepare special leather die plates. These die plates are custom made to your logo or brand's specifications and measurements. This allows us to produce leather bracelets, leather wallets and more for our clients, right here in Los Angeles with a quick turnaround.